Northwest native L.E. Bragg was born on the old Nisqually Reservation in the shadow of Mount Rainier, and raised in the Greater Seattle Area. 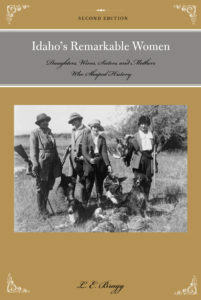 Her early career included six years living and teaching school on The Colville Reservation in Eastern Washington where she was inspired to write her first book, A River Lost. The author now resides in the Puget Sound Region. L.E. 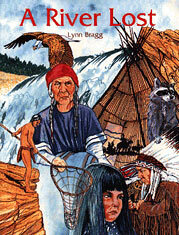 Bragg’s books celebrate the history, scenery, and cultural diversity of the Great Pacific Northwest. 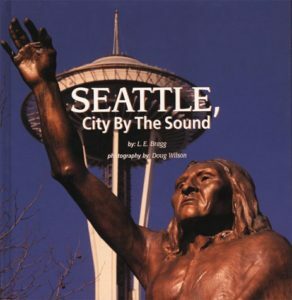 A River Lost and Seattle, City By The Sound are picture books written at a level for young readers, as well as for adults to enjoy reading aloud. 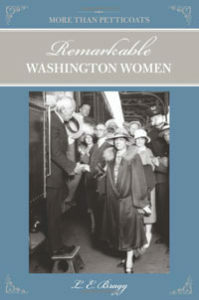 More Than Petticoats: Remarkable Washington Women and Idaho’s Remarkable Women are multi-chapter books for young adult and adult readers. 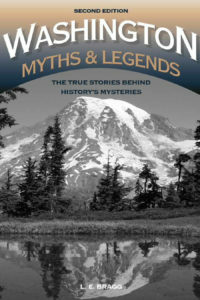 Washington Myths and Legends is suitable for adult readers.